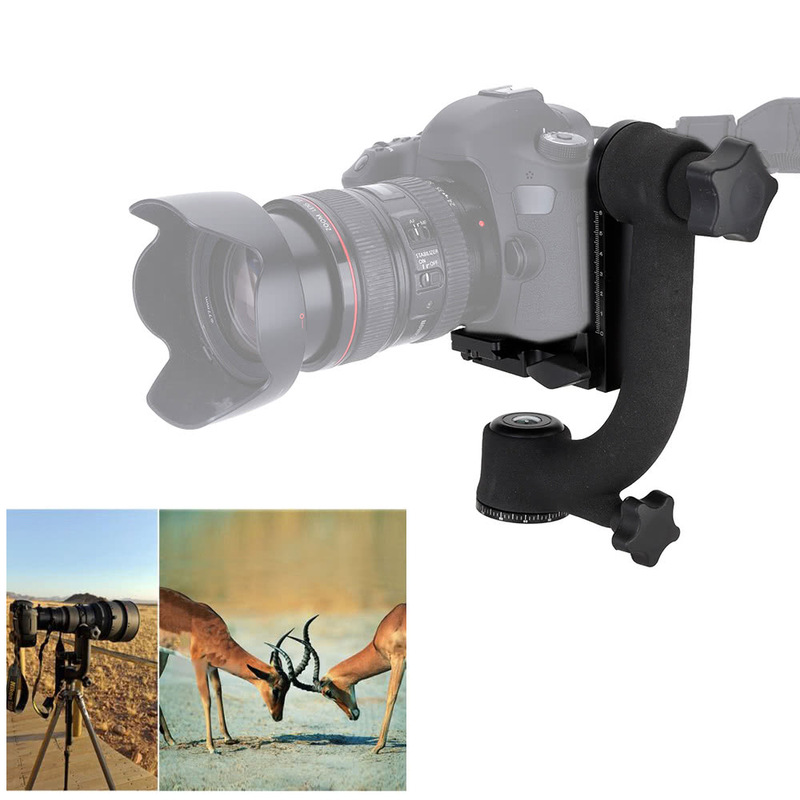 This panorama gimbal tripod head is a specialized tripod head for heavy telephoto lenses and professional DSLR cameras, widely used on wild animals photography, exotic birds photography, wonderful sport game photography etc. Natural animals' running and moving, flying birds, splendid moment of sport games can be easily captured by this product. 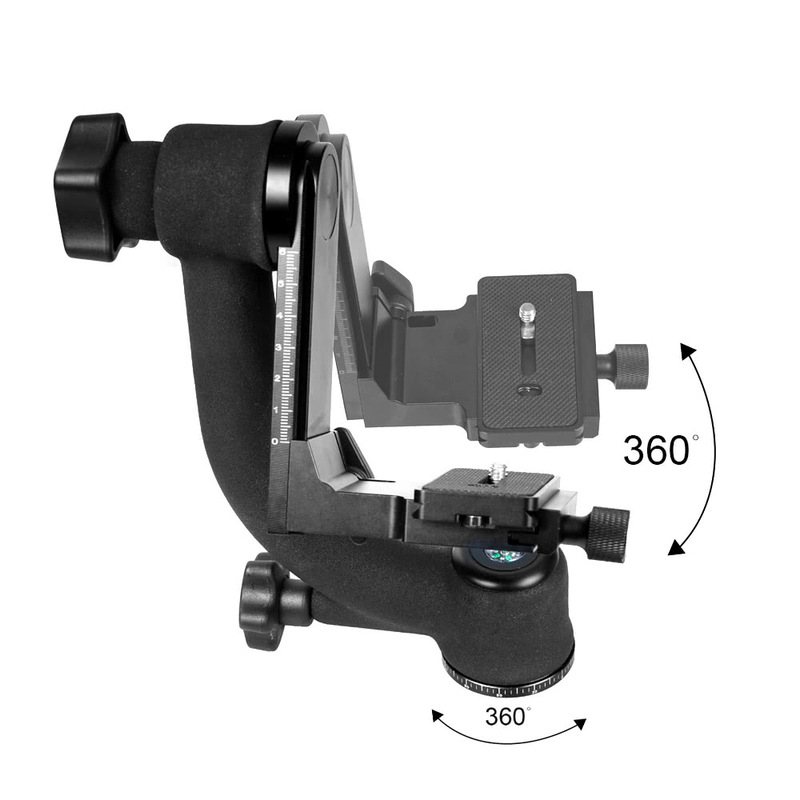 It allows the rotation of the lens around its centre of gravity, thus even large lenses will be easily manipulated. 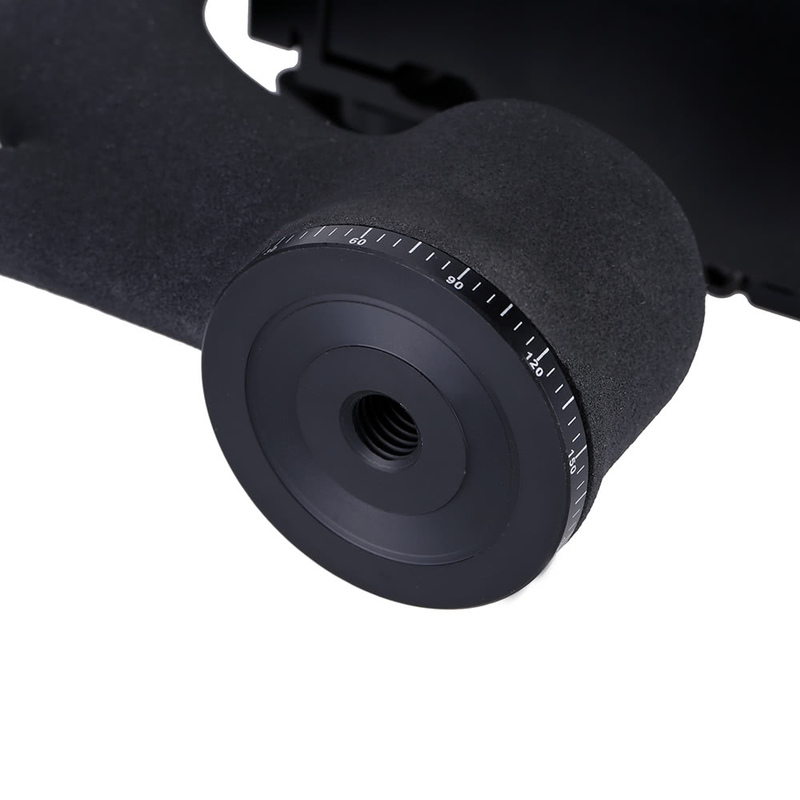 What's more, compared with tradition ballhead, it is faster and more stable. 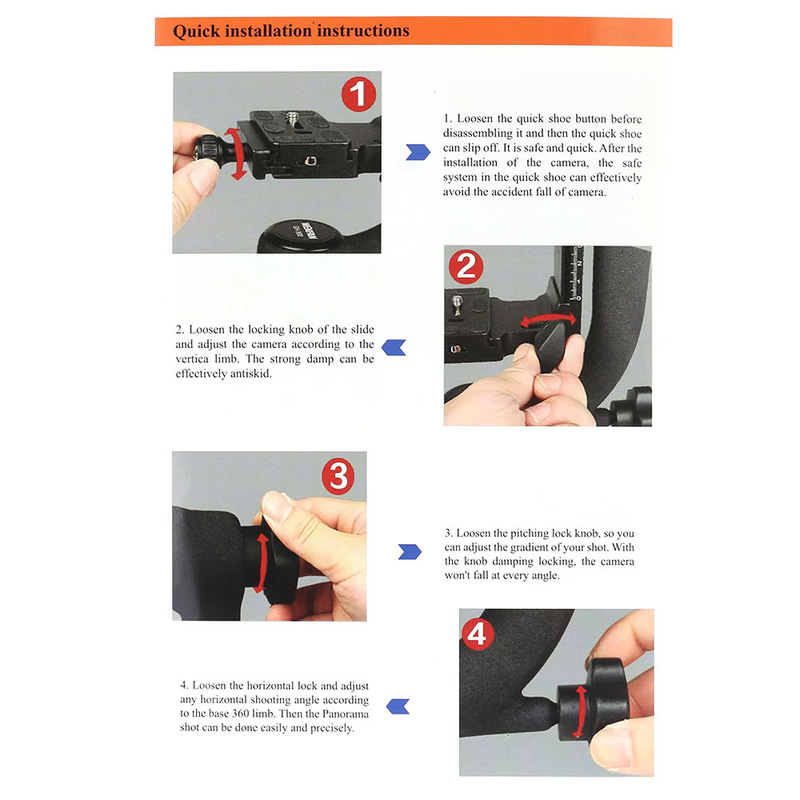 It is compatible with international-style QR system. 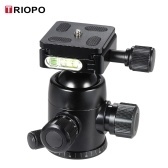 It will be your best choice for Panorama shooting outdoor! 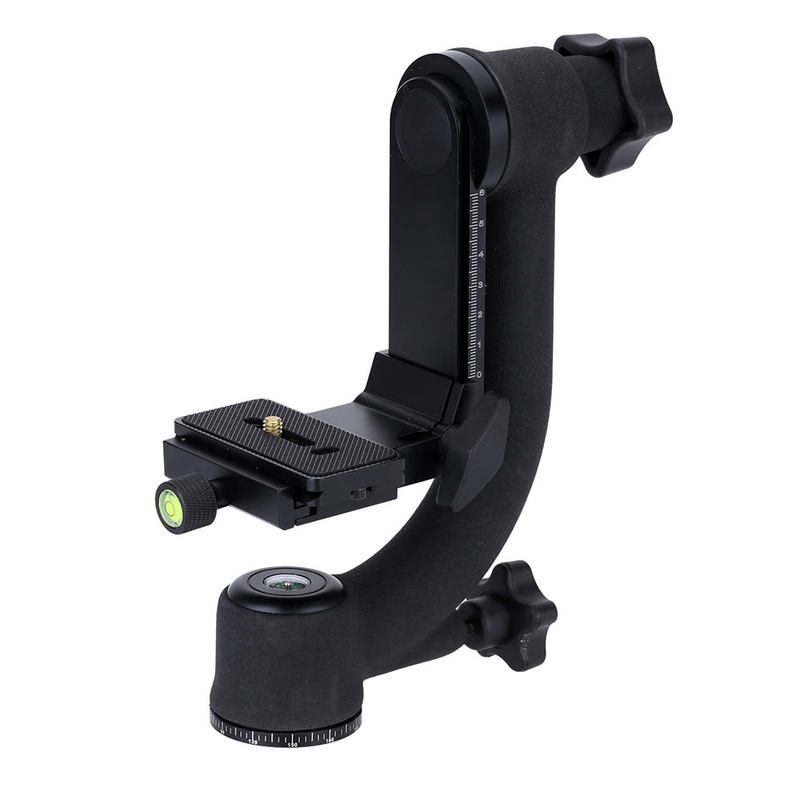 360 degrees rotation vertically and horizontally, convenient for shooting. Exact vertical and horizontal degree scale, professional for outdoor use. 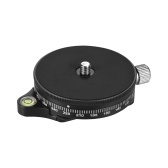 Built-in accurate compass, which is convenient to identify and guide the direction during the shooting process. Anti-skid and anti-cold sponge wrapping around which is more stable. 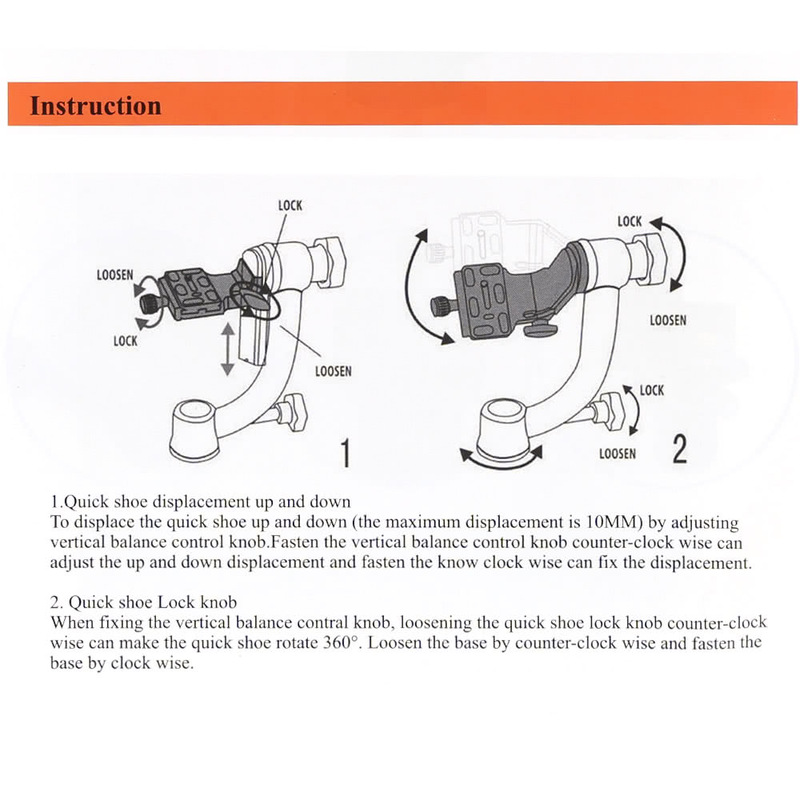 Locking and rotating screw is tight and easy to control. 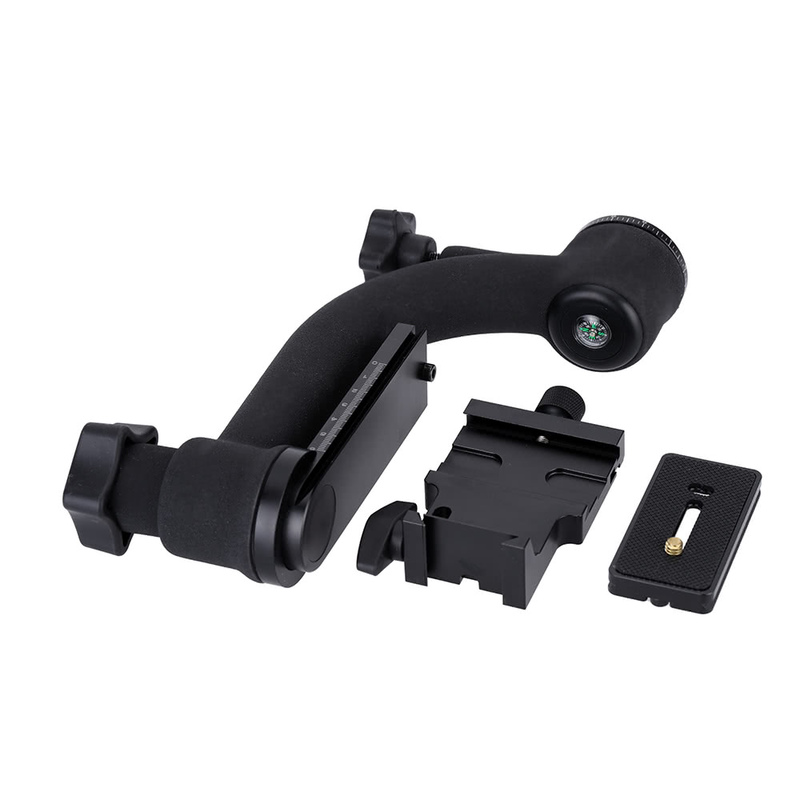 Made of aluminum alloy, very strong and durable. Standard 3/8" thread to connect to tripod, etc. 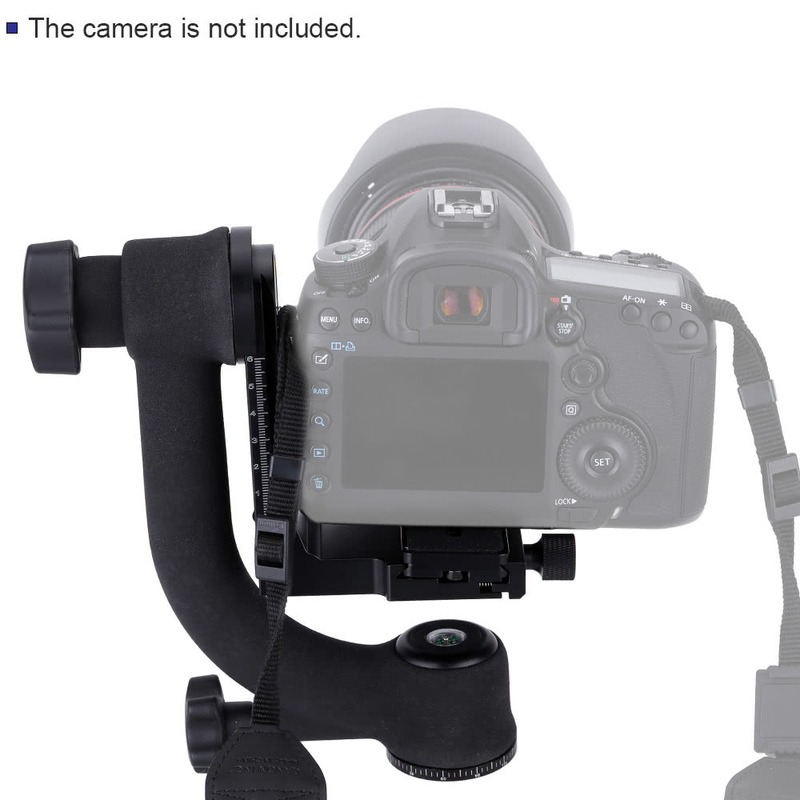 Tripod and camera are not included. 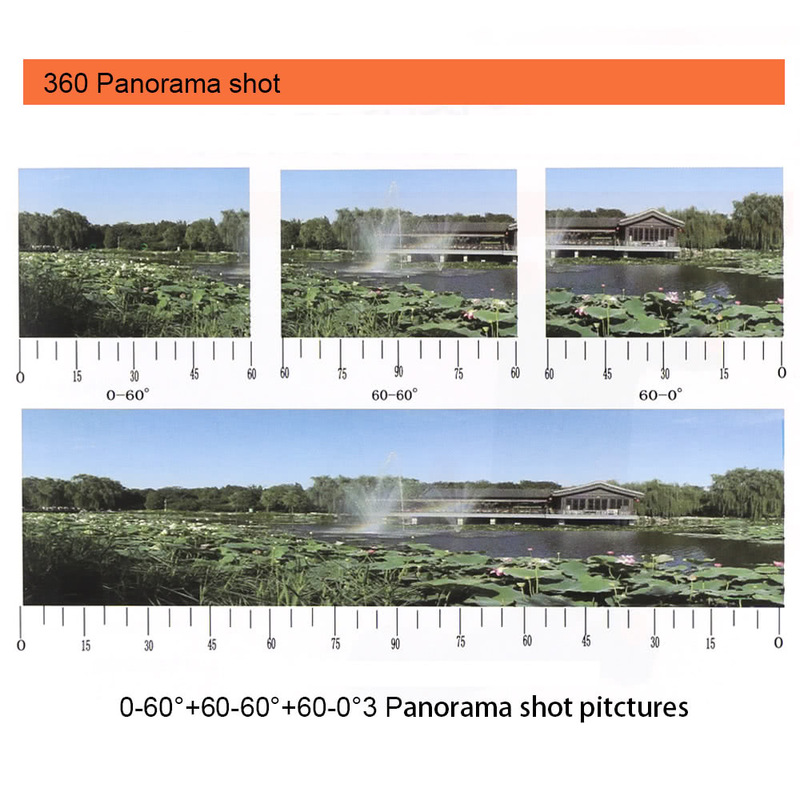 From the photos, it appears that the camera attached is landscape orientation. 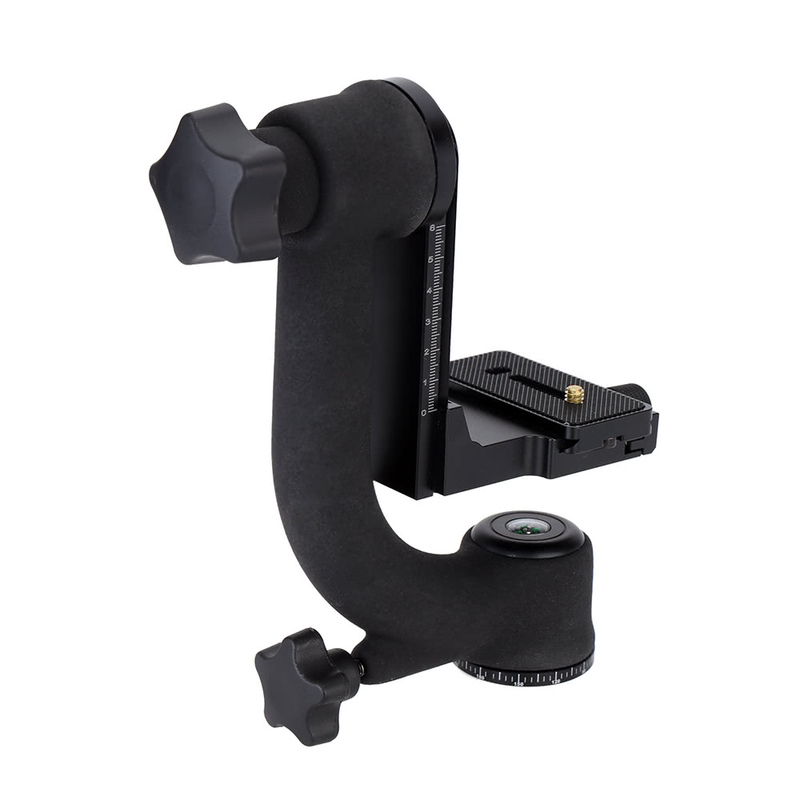 Can it also be attached is portrait orientation as well? 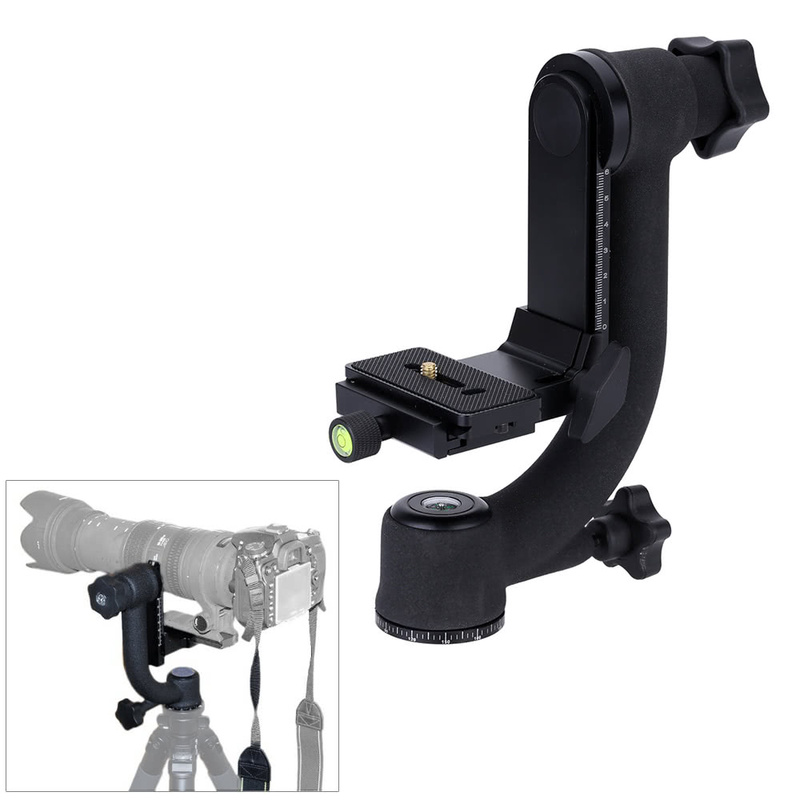 No, it cannot, but if you are using it with a large lens, the lens usually has a collar attached. 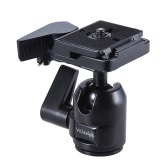 You would loosen the screw on the collar and adjust your camera that way. Will a Nikon D810 fit on this? 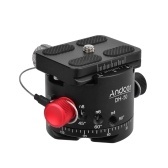 I have several Andoer heads, this gimble, a large ball and a tilt/pan, they work very well. I would buy them again. 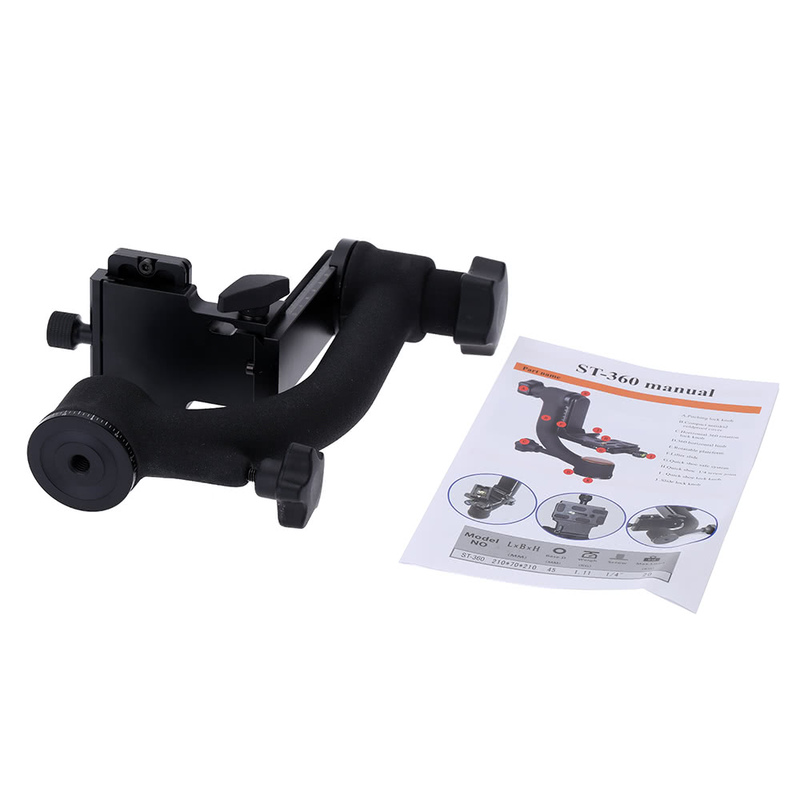 Very good product, it was exactly what I had hoped for, all the parts displayed were included, which was not the case with other suppliers I have checked and it was also much cheaper. It works as exepted, no problems. Also the supplier was very friendly and helpful to rush the shipment at no extra charge due to my departure. 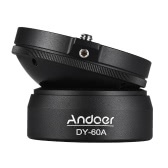 I have had the more expensive Gimbal head, and there is a significant difference in build quality, however, I returned the more expensive Gimbal head because I could not justify spending $300+ for something I use once in a while, This Andoer Pro 360 is really good quality build, not the best, but not bad at all! Worth the money paid. Buy this product. 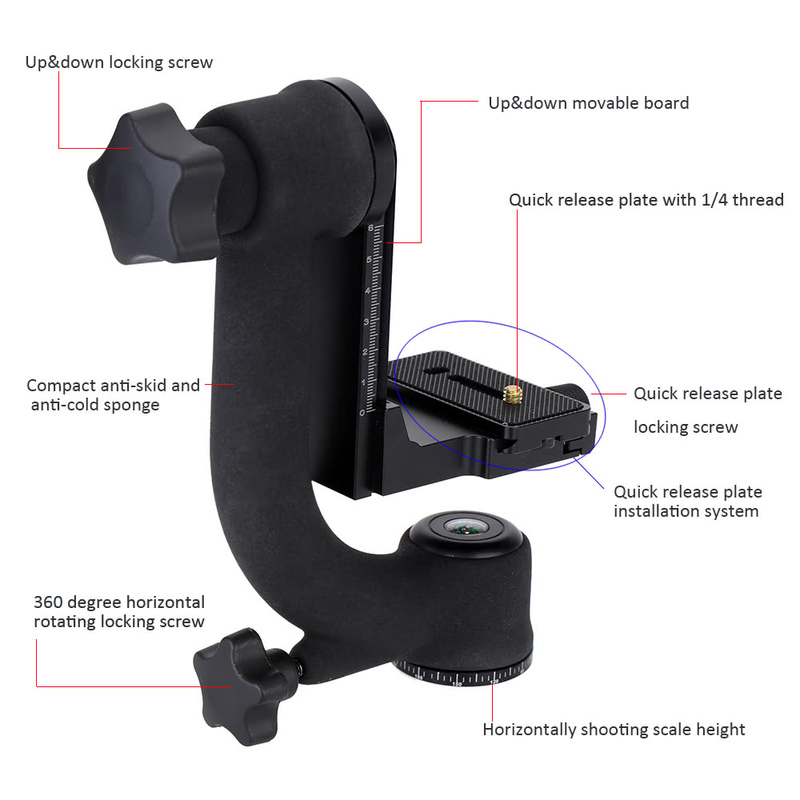 The price is very good, but the quality is only moderate.The vertical axis has a larger backlash and the locking of this axis is not perfect too.The horisontal axis is correct.The mount of the fixing plate is not the best, but useful.If you have the possibility to upgrade (at home or in a workshop) the gimbal, than it is a good and cheap choice.